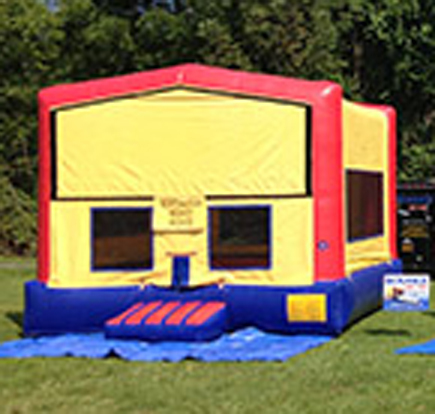 Your young party-goers will have a blast jumping the day away in this 15×15 bounce house. From the time they enter, it is all smiles, EAR to EAR. This is one of our most popular units. The little ones are contained in one area having a blast while you get to actually RELAX and ENJOY THE PARTY. (It's probably been a long time since you could do that!) This basic bounce house is fun for ALL AGES! 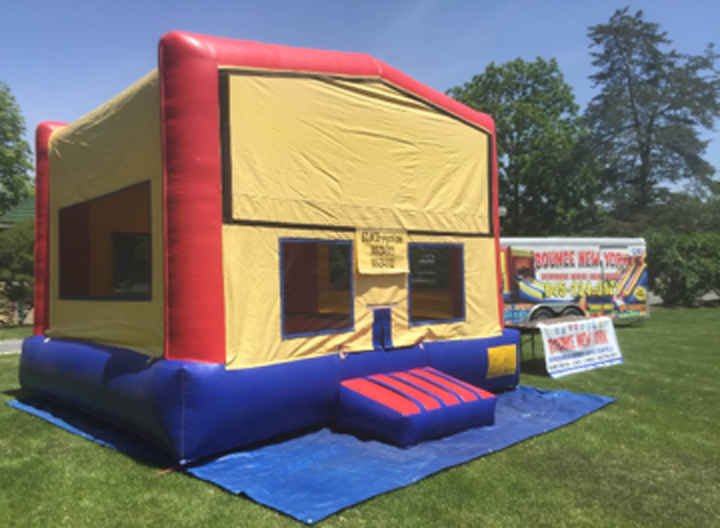 This particular bounce house requires a minimum 20 x 20 foot clear area for set up. The height clearance for this unit is 17' high. Red or Blue trim available.